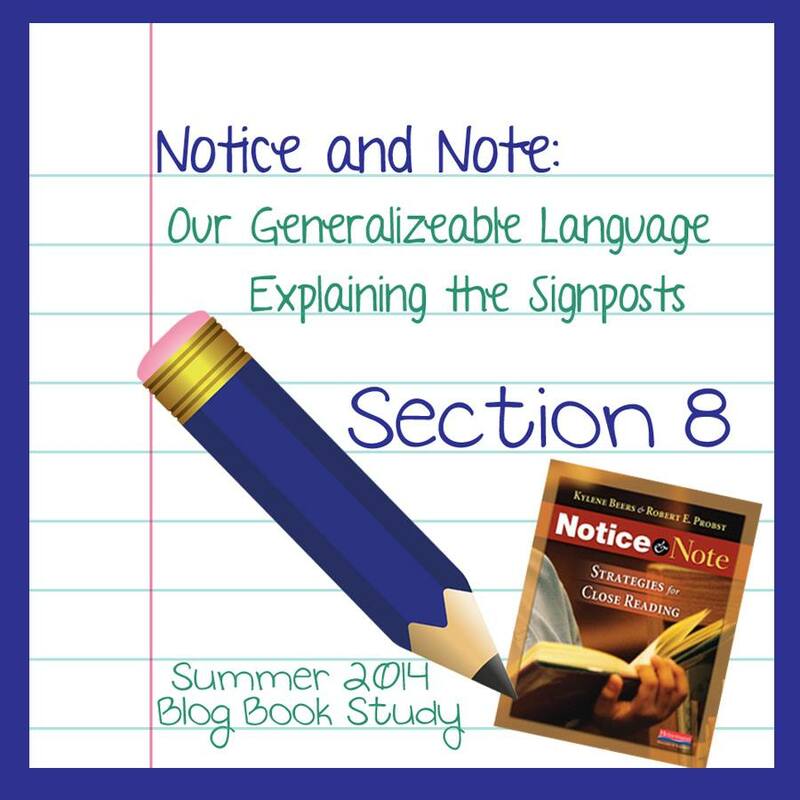 Welcome back for part 8 of the Notice and Note online book study. I am so excited to be hosting! language when doing a think aloud with students. They give us the generalizable language they use on p. 85 - what a great "cheat sheet" for teachers! They also point out that it isn't important to use the same specific names for signposts that the authors use. We should use the label that works for us and our students. What is important is to notice the signpost and think about the anchor question. The authors give some great tips to consider when we begin explaining the signposts to our students. Decide upon an order for teaching the signposts. They recommend starting with Contrasts and Contradictions, Aha Moments and Tough Questions. These seem to occur more frequently and are more easily identifiable. Next they recommend Words of the Wiser, especially as it relates to theme. Then move to Again and Again and Memory Moments. Set aside time to teach each signpost lesson. These are not mini-lessons, so be prepared to spend 30-40 minutes on each. Teach each signpost lesson with a text that illustrates the targeted signpost. The authors provide suggested texts to use in the mentor lessons in the book and give tips to consider when selecting our own texts. It is very important to choose something that can be read aloud in 10-15 minutes. Recognize that the model text you want to use might be one that is not at a student's independent reading level. That's ok as long as the students can deal with the content. Use a gradual release model. Demonstrate first, then turn part of the task over to the students, and finally, have them do it on their own. 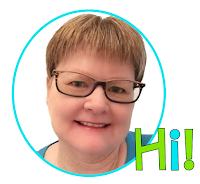 Think about the generalizable language you will use. It is important to plan what you will say. Create an anchor chart for the signpost as you teach and hang it on the wall for students to refer to. Experiment. Try a different approach to teaching the signposts. One reason I love this book so much is that the authors give us all the tools we need to teach our kids. I know that the first time that I teach a new concept, I tend to script my lessons. That is something I would need to do here as well. I am also so excited to have another way to approach theme with students. This has always seemed a difficult concept for my third and fourth graders to grasp.